Get rid of your unused and unwanted medication at this Drug Take-Back Event! Bring medication, vitamins, and over-the-counter pills you no longer need and it will be disposed of safely and securely. 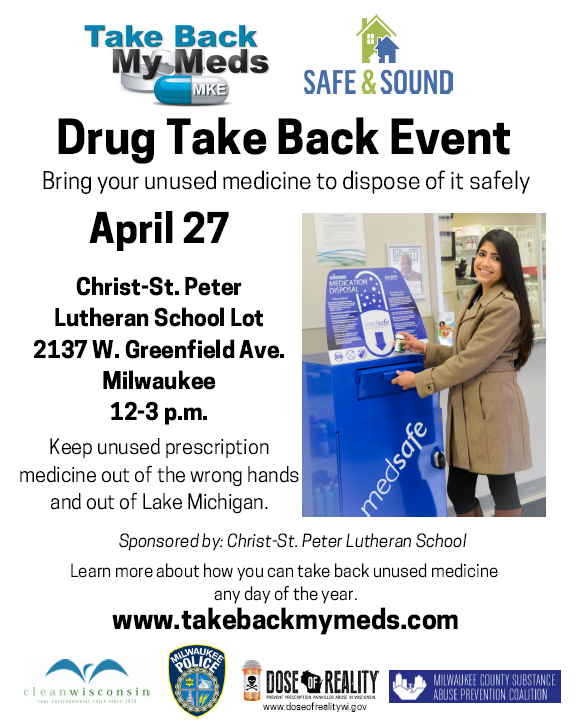 This resource is sponsored by Take Back My Meds MKE and the Milwaukee County Substance Abuse Prevention (MCSAP) coalition. Can't attend this event? Go to Take Back My Meds MKE's website for a list of dropoff sites throughout Milwaukee County.